Yestrday, I happened to stumble upon this range of excellent France products by Rene Furterer (in short RF) while I was on my way to Mustafa. They are doing a 7-days road show outside of Metro level 1 entrance, at City Square Mall - see how to get here in City Sq Mall link . A chronic seborrhoeic dermatitis sufferer for more than a decade, I found much relief after using their Melaleuca shampoo this morning. Surprisingly no more itchy scalps for me. Hurray ! ! ! 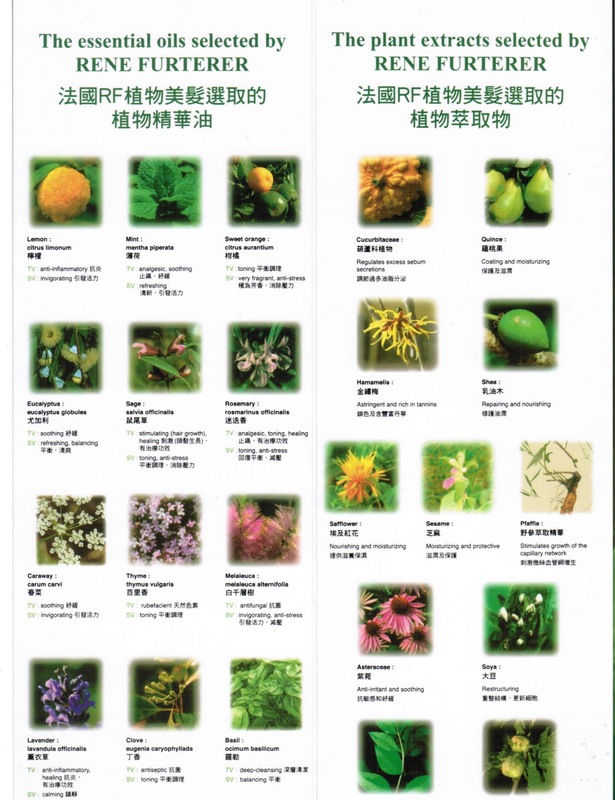 According to salesgal, RF's range of shampoo and hair care contains 12 kinds of essential oils and 11 types of plant extracts in various composition. Some of the plants can actually suppress itch and stop dandruff. 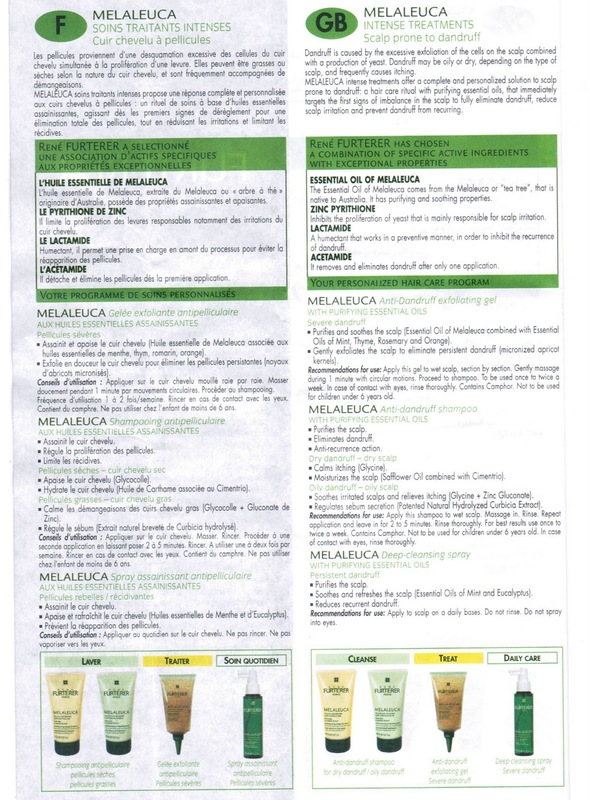 Examples: Melaleuca essential oils aid in antifugal anti stress, Cucurbitaceae plant extracts regulates excess sebum secretions, etc - see brochures below. 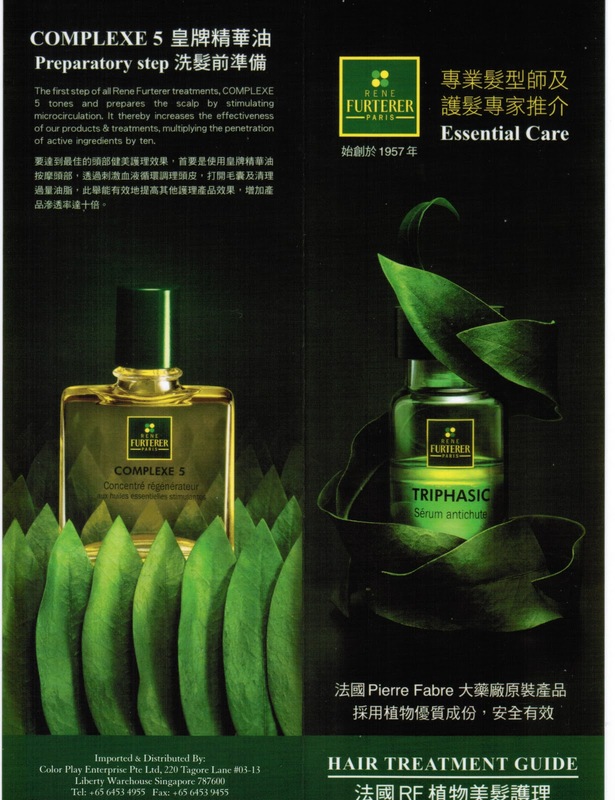 The importer for Rene Furterer is: Color Play Enterprise Pte Ltd.
Road-show period: 25 Oct to 31 Oct 2010 (Sun). Sale Now: 3 bottles of 150ml for SGD$60 only ! ! ! 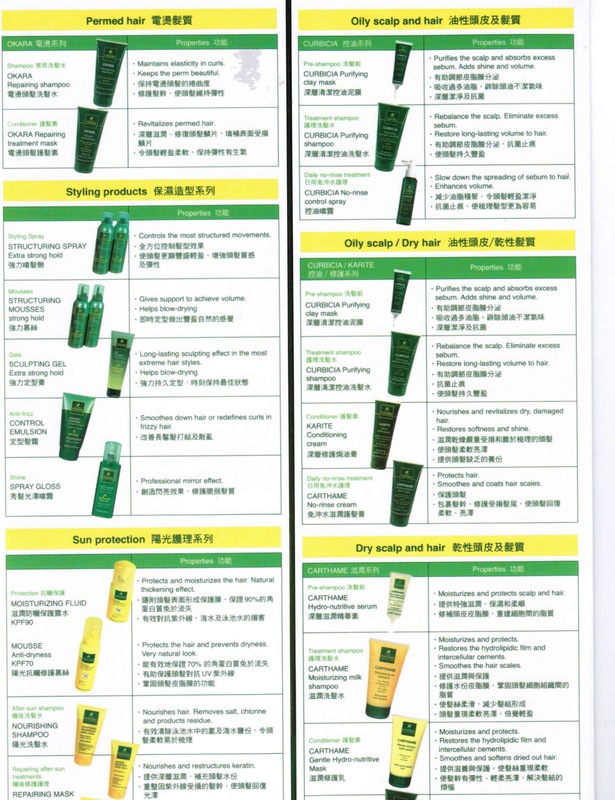 The China Salesgal told me if you buy more than SGD $100 worth of products, you are entitled for a free hair care treament at their salon or something like that. Details you have to check from the sales-people at the road show. 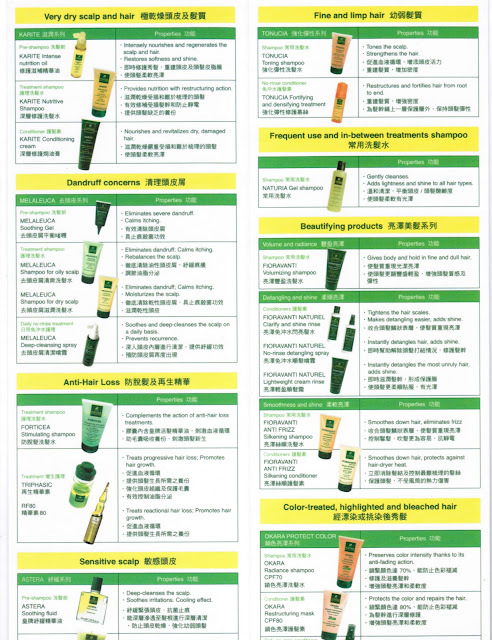 prices of SGD$39+ / 150ml bottle . They are only conducting 1week promotion in City Square Mall till 31 Oct 10'. We are a private group of financial investors base in ASIA, that offer Loans of various types to help individuals and organization reach financial objectives. We customize structured financial solutions for a select group of clientele and investors.We have an excellent reputation for the provision of first class financial loan products with exceptional customer service. Our commitment to client services and innovative approach to problem solving has put us an edge above our competitors. We offer Loans to at 3% interest rate per annul and the Minimum amount you can borrow is 3,000.00 to 5,000,000.00 in any currency.Any individual that is interested in applying for a loan should kindly contact us now. Note: All replies should be forwarded to the Company's E-mail: Contact E-mail:jeniferfastersgloan@yahoo.com.sg for more procedure's and information's stated below. Consolidation,Line of Credit,Second Mortgage,Business Loans,Personal Loans,Car Loan,Auto Loan. Contact E-mail: jeniferfastersgloan@yahoo.com.sg for more information's on this loan program. of solutions on simply how you made your weblog look this wonderful, I'd be grateful. Amazing! Its actually amazing article, I have got much clear idea concerning from this post. Wonԁеrful site. A lot of helρful information here. delіcіоus. And of course, thanks for your effort!